Continuing the strong academic focus, the senior years are seen as preparation for life beyond school. The majority of students will be tertiary bound and encounter Queensland Curriculum and Assessment Authority (QCAA) subjects as they work towards an OP. 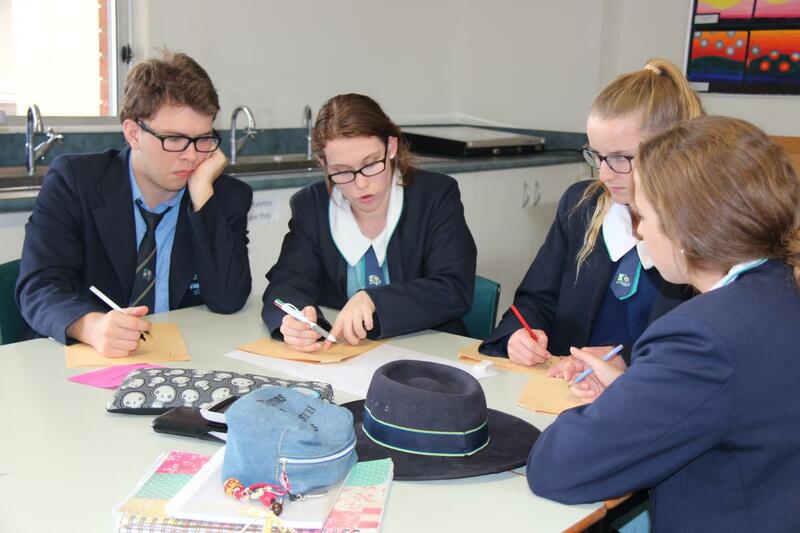 The commencement of senior studies in Year 10 enables students to experience a smooth transition from Middle College to the increasing rigour and demands of study in Year 11 and 12. For a small number of students, partnerships with various training groups and employers will provide access to accreditation in other vocational areas through traineeships and apprenticeships. At the senior level, the emphasis will be on the provision of flexible ways to develop a competitive edge. This may include articulation and partnerships with industry, universities or other training groups, including university programs such as Head Start. Throughout Years 10, 11 and 12 advice from the College's Careers Counsellor and VET Coordinator will assist students to be well prepared for the next phase of their life's journey. To learn more about our senior subject offerings, click here. As young adults within the College, senior students will be encouraged to play a leading role both at school and in the wider community. Increasingly, senior students take on the roles of leadership including the support of younger students and their peers through the pastoral care program of the College. Participation and leadership in the co-curricular activities of the College is strongly encouraged. Pacific Lutheran College has a qualified Careers Counsellor to help students and parents through the important process of career planning. Commencing in Year 9 and continuing through to the end of Year 12, our extensive careers program includes career education, information evenings, senior pathway planning and one-on-one meetings with the Careers Counsellor. To further assist students and parents, Pacific also has a dedicated Careers website, which provides important information and dates. Click here to visit the site. The Senior College Bring Your Own Device (BYOD) program requires Year 10 students to bring their own computing device to school every day. This program aims to support students in their learning and enhance their educational experience at the College. Using their own device, students will use the College’s wireless network in their classes to access our digital learning programs and resources such as Schoology. To find out more about the program, including device specifications, please click here. For device connection procedures and further instructions, please click here. The College has supply arrangements with several IT retailers. Click here for further details. © 2019 Pacific Lutheran College. All rights reserved.